Darren is a member of the Building Design Association of Victoria (BDAV) and also attends various Continuing Professional Development (CPD) seminars to further his knowledge and skills. DARREN'S EXPERIENCE AT A GRASS-ROOTS LEVEL COUPLED WITH FORMAL DESIGN AND DRAFTING QUALIFICATIONS INSPIRED THE CREATION OF BASEPLATE IN 2000, A DESIGN COMPANY THAT IS UNIQUELY POSITIONED TO OFFER CLIENTS A PROFESSIONAL, SPECIALIST DESIGN SERVICE WHILE MAINTAINING AN INTIMATE KNOWLEDGE OF USERS NEEDS. He was approached by Convic to join the design team in 2002 and over a period of ten years, Darren worked with a broad range of clients in Australia and overseas, delivering some of the most innovative national and international skatepark designs that maximise function and minimise safety concerns. Key projects included the world’s largest skatepark in Shanghai, China, Australia’s largest skatepark in Belconnen (ACT), Singapore’s National Extreme Sports Facility and four skateparks in Hong Kong. In 2012, Baseplate once again became the outlet for Darren to deliver his skatepark designs and continue his involvement in the building design industry. DARREN WHITE HAS THE MOST EXTENSIVE SKATEPARK DESIGN EXPERIENCE IN AUSTRALIA. THROUGH HIS TIRELESS FOCUS AND ENERGY, HE HAS CREATED OVER 500 SKATEPARKS HERE, AND OVERSEAS. Collaboration is a strong focus for Darren as he works with several other companies on a range of projects. His involvement varies – design lead, collaborative design, design review, 3D modelling and visualisation, planning permits, building permits, construction documentation, contract administration, site inspections and skatepark assessments. Always offering independent professional advice on the best outcome for each project. 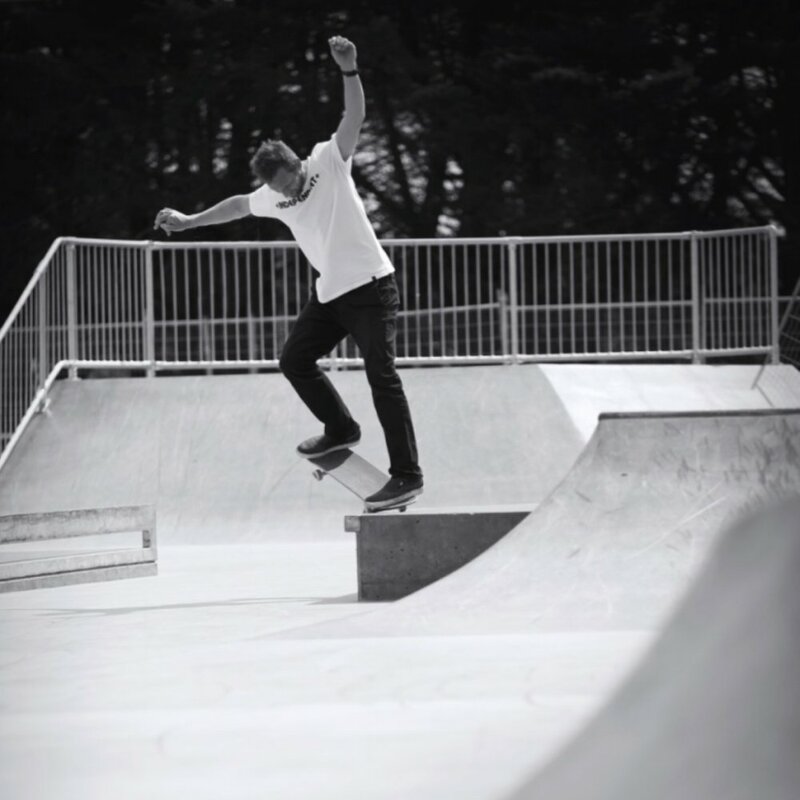 Over the years, Darren has undertaken a wide range of public consultations to listen and respond to community concerns and needs for their skateparks. This has taken him to cities and remote communities around Australia, China, Hong Kong, New Zealand and Singapore. He has been instrumental in developing the structural designs for skateparks that are now adopted as industry standard across Australia. A HIGHLY PROFICIENT STREET, BOWL AND VERT SKATEBOARDER, DARREN UNDERSTANDS THE IMPLICIT REQUIREMENTS OF LOCAL USERS AND REGULARLY SKATES THE PARKS HE HAS DESIGNED TO CONTINUE TO TEST AND IMPROVE HIS SKILLS IN BOTH SKATEBOARDING AND SKATEPARK DESIGN.